These are the symbols of great strategic value where the great battles for Italian independence took place. Solferino tied to the memory of Napoleon III&apos;s battle against the Austrians was one of the most strategic places. From the Spia d&apos;Italia, a sturdy tent of the eleventh century, you have a wonderful view. Are also to be seen: the Museum, the Ossuary, the Castle area and finally the Red Cross Monument, all places that bear witness to the long risorgimento epic that has known in this place one of its most glorious pages. Not far away is the Tower of St. Martin of the Battle, 74 meters high and raised in memory of the victory of the Piedmontese on the Austrians. In the Cathedral of Castiglione delle Stiviere many wounded of the Risorgimento battle were gathered, a pious work that gave the idea to Swiss Henry Dunant to found the International Red Cross, whose unique museum in the world preserves precious testimonies of those events that Changed the course of Italian history. 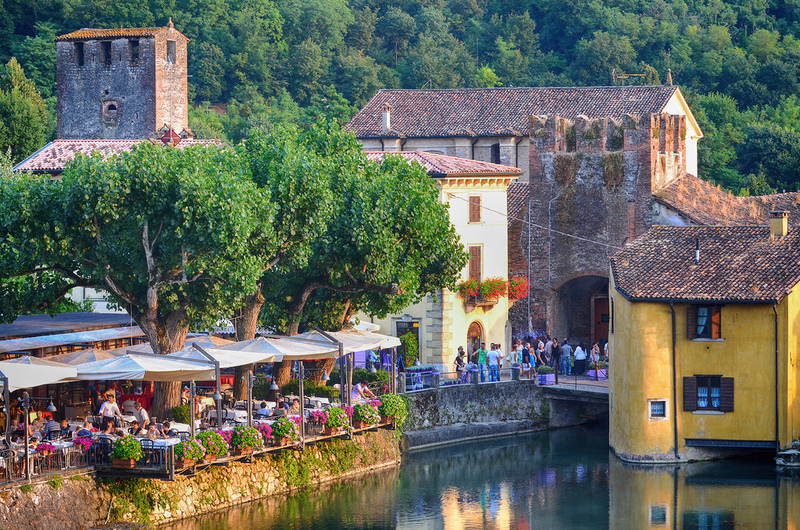 In addition to its historical importance, this is a beautiful hilly area with medieval villages perfectly preserved: the charming village of Castellaro Lagusello is located in Mantua, is an unicum in Lombardy and is included among "The 100 Most Beautiful Villages of Italy". 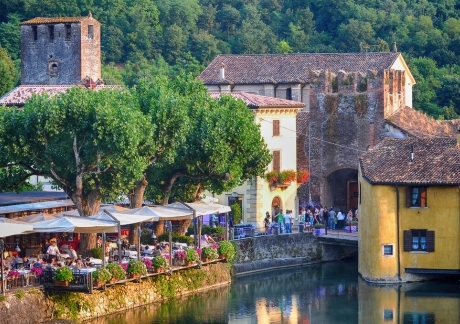 Not far away, but already in the province of Verona, there is Borghetto di Valeggio sul Mincio, a charming waterfront village dominated by a 14th-century dam built by the Visconti.